Our target workers compensation programs help Kansas employers save money. We've got you covered when it comes to Workers' Compensation Insurance in the state of Kansas. We use a network of more than 20 Insurance Carriers. This network gives our agents a wide variety of options and prices to find you the most comprehensive coverage at the best rates in the insurance industry. Because of the number of carriers we partner with, we are able to quote many difficult industries. Also, not all carriers are the same. Our agents know about several rebates and other discounts you can take advantage of depending upon your industry. If you don't shop your policy with many carriers, you may be missing out on lots of savings. Don't pay too much for your coverage. We currently have hundreds of satisfied customers located all over Kansas. Start a quote online or call to speak with an agent at 888-611-7467. 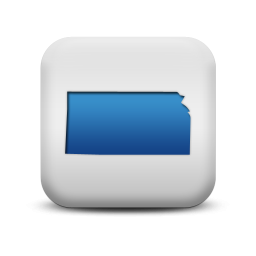 Most employers in Kansas who employ one or more full or part time workers are required to carry Workers' Compensation Insurance. The few exceptions to this requirement are some agricultural companies if their payrolls are low enough. Rates on Workers' Compensation Insurance in Kansas are 17 percent cheaper than the national average. Kansas is an NCCI state and that is who sets the rates for work comp premiums in the state. Carriers are still allowed to offer discounts and rebates. These discounts and rebates are where most of the differences are between carriers. It is crucially important for businesses to shop their policy with numerous carriers in order to get the best coverage at the lowest rate. Don't pay too much for workers comp insurance. We can help your business find a better deal on workers' compensation coverage. Our in-house experts know the work comp process and can help negotiate more discounts and bigger policy credits. Give one of our workers compensation specialists a call today at 888-611-7467 to learn about or workers compensation insurance programs in Kansas.